the "Ultimate Flexibility and Versatility." 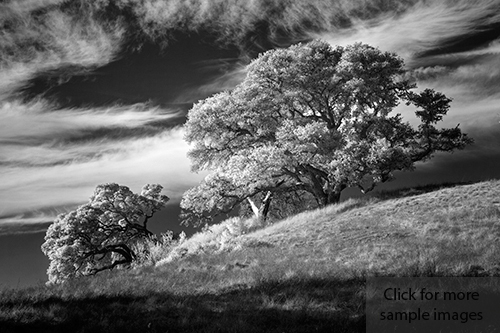 Do you want the ability to capture Infrared, Astro images, and Normal images all with one camera? A Full Spectrum camera can do all of those things! Wondering what a "Full Spectrum" camera is? In basic terms it is a camera that can "see" more light than a normal camera. A full spectrum camera will still perform well as a "normal" camera and will capture great normal images. It will also be able to capture infrared images, ultraviolet light images, and much more. Because of the added sensitivity to light a full spectrum camera will perform better than a normal camera in most circumstances. For example, when shooting in low light, a full spectrum camera can provide much shorter exposure times at lower ISO settings which means a sharper and cleaner image. 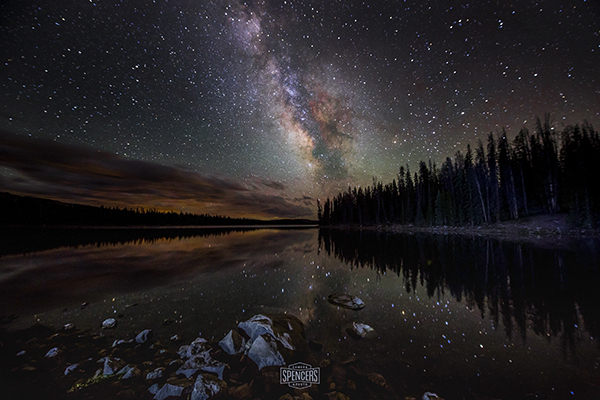 When shooting night time images the shorter exposure times will more easily allow images without star streaking. 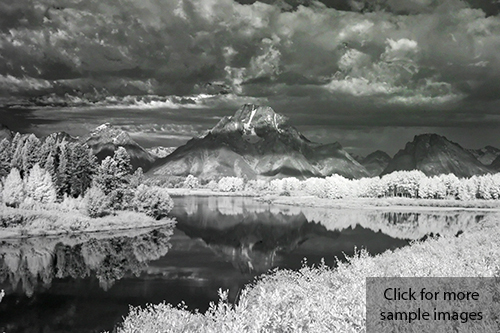 The added sensitivity to Infrared also allows the camera to capture beautifully sharp Infrared images without compromising the use as a "normal" camera. All of this means that your camera will perform better, is more versatile, and will produce sharper/cleaner results. 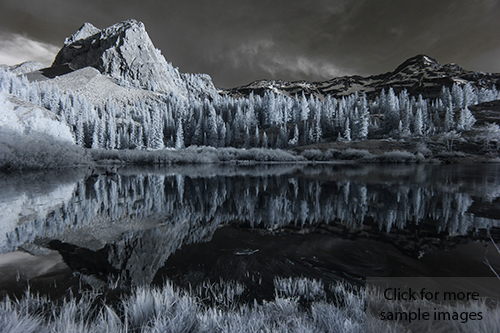 Photography using a Full Spectrum (Clear) modified camera has fundamentally changed the infrared photography industry and the Infrared Camera Modification industry. This fundamental change has benefited the consumer by providing more options and better results at a much lower cost. Imagine owning one camera that will perform all the functions of more than ten cameras, all in the same camera body. 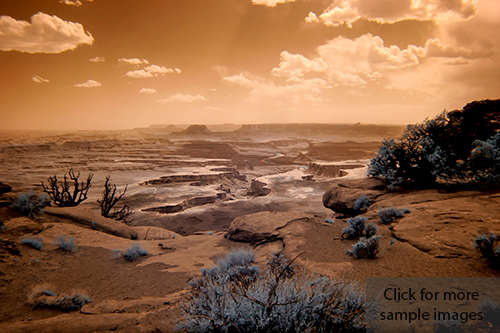 Shooting normal Visible Light Photography, Infrared Photography, UV Photography and Astrophotography all with the same camera and without sacrificing image quality or performance is now a reality. That is exactly what a full spectrum conversion will provide. Yes, you can use your full spectrum modified camera for "normal" photography. Many of our customers have chosen to have one camera modified to full spectrum and they are able to use it for portraits, weddings, Infrared, Astrophotography and everyday family shoots. Also, all of our own technicians own full spectrum cameras as well. Full Spectrum - A "Full spectrum Camera Conversion" refers to the replacement of the internal IR Blocking filter (Low Pass Filter/Hot-Mirror filter) in the camera with a clear filter, allowing the camera to capture the entire light spectrum (EM Spectrum).This will allow the camera's imaging sensor to capture Ultra Violet, Infrared and Visible light. All you need to do is limit what the camera "sees" by placing the appropriate filter of your choosing on the lens. This can be anything from UV Only, IR Only and Astrophotography filters. There are a wide range of on-lens filters available for Infrared Photography and Visible photography on our website (On-Lens IR Filters - UV/IR Blocking Filters). In Short, a full spectrum camera will do anything a normal camera, IR modified camera, and Astro-Modified camera can do. Carry only one camera, a few filters, and have all the versatility of more than 8 cameras. 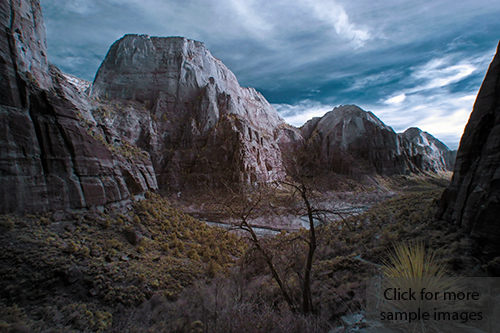 Simply change the filter on your lens, set a custom white balance, and you'll have a different result. No loss of image quality or performance. On-Lens IR Filters and UV/IR Hot-Mirror Filters: We now offer on-lens IR filters that will enable you to have the best of more than 6 different conversion types all in one camera. All you need is a Full Spectrum converted camera and the filter(s) of your choice and you will have the "best of all worlds". 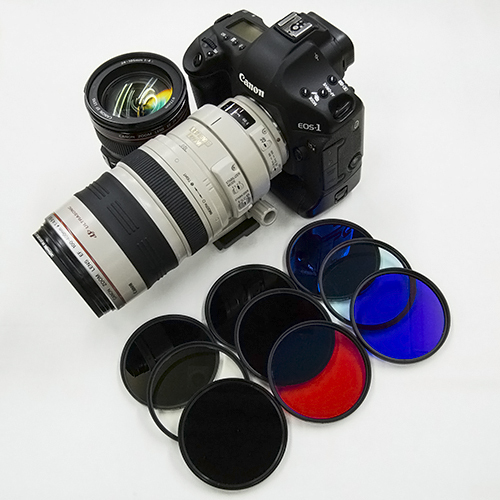 We offer on-lens filter kits that will give you the full range of IR filters for Infrared imaging and UV/IR hot-mirror blocking filters for "normal" photography use. We also provide our popular "Ultra-Blue" filter as an -on-lens filter which will broaden your IR shooting options. Having a camera with "Liveview" or one that uses an Electronic Viewfinder is optimal. Simply attach the filter of your choice to the lens, set a custom white balance, and you will have great results straight from the camera. 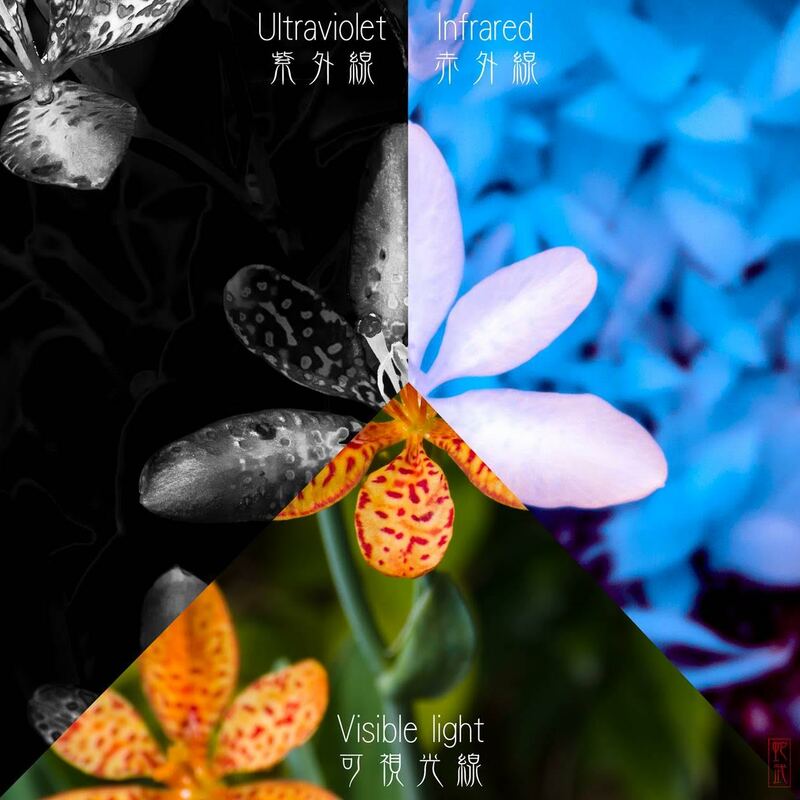 (Our UV/IR Hot-Mirror filters do not require use of a custom white balance). UV/IR Hot-Mirror Filter - Don't let the idea of converting your camera to Full Spectrum scare you. You will still be able to shoot "normal" (Visible) images and your camera will be fully functional. All you need to do is use a UV/IR Hot-Mirror filter on your lens and everything will work just as before the conversion. Even the camera's automatic white balance functions will work great. We have converted many cameras to Full Spectrum for professional wedding photographers, landscape photographers, macro photographers, portrait photographers and others for more specific purposes. These individuals use their full spectrum converted camera for a broad range of uses including normal imaging, infrared imaging, forensic investigations, archaeological research, astrophotography and many other uses, all with one camera. They simply change their on-lens filter for each desired purpose. Example: One customer uses his Canon 60D full spectrum converted camera for archaeological purposes while in the field and also uses it for wedding photography as a secondary source of income. There is no need to carry multiple cameras for many different uses. 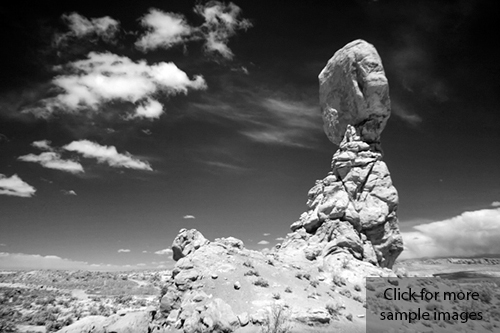 He simply installs a UV/IR Hot-Mirror filter for normal wedding photography or an Infrared filter of his choice to perform comparison images of petroglyphs and pictographs in Visible light and Infrared light.